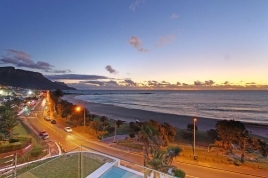 Stunning views and a relaxed beachside atmosphere is what you can expect while on holiday at Camps Bay, one of Cape Town's more affluent suburbs. 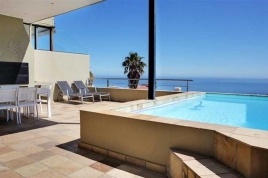 Whether your holiday rental in Camps Bay is a cozy apartment with all the basics or an exclusive upmarket penthouse kitted out with all the luxury finishes, you're guaranteed to have an unforgettable experience. Our Camps Bay penthouse apartments are available for short term hire, perfect for holiday accommodation or a business trip. 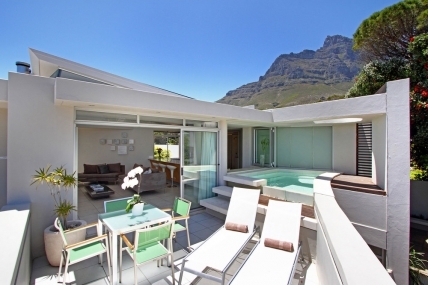 Our penthouse rentals are self catering and fully furnished for your convenience. None of our upmarket penthouse holiday rentals are complete without fully furnished lounges and modern kitchens with top of the range appliances to give you that home away from home feeling. We know that to have all the energy you need to be able to enjoy your fun filled holiday, a relaxed, refreshing nights sleep is needed. We make sure that the bedrooms in our penthouse apartments are furnished with comfortable, top of the range beds. We provide top quality, luxury linen on all beds for absolute comfort. 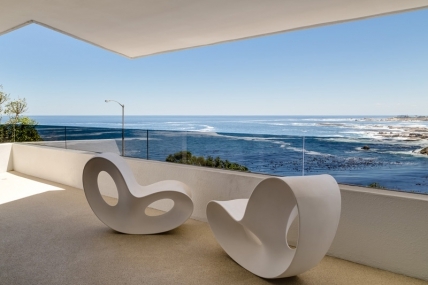 Our penthouse apartments are ideally located at the top floor of some of Camps Bay's most exclusive residential buildings. 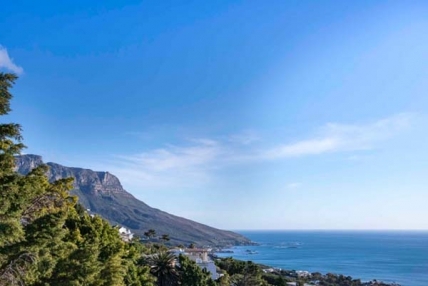 This means our guests have access to uninterrupted views of the beautiful Twelve Apostles mountain range - once populated by lions and deer - and the endless expanse of the Atlantic Ocean from their window or balcony. Imagine sitting on the balcony of your penthouse holiday apartment with the setting sun in the horizon, enjoying a delicious home cooked meal with a loved one while sipping some wine. It's a wonderful way to end your day. Camps Bay is filled with lots of exciting activities to do and lots of exciting people to meet if you don't want to spend your holiday cooped up in doors. When you rent one of our spacious penthouse rentals you can expect to be within a few minutes walk of many of the best features of the area including bars, restaurants and the palm tree lined beach. Restaurants and cafe's offer in Camps Bay offer delicious cuisine from around the world and yummy cocktails, all enjoyed with the sea breeze in your hair in the out door dining areas. Take a walk down to the gorgeous palm fringed Camps Bay beach with it's clean, sun kissed sand. Sunbathing is a popular activity for visitors to Camps Bay beach. While you lay back on your towel on the warm sand, perhaps with a good book in hand, you get to enjoy the vibrant atmosphere. Maybe even spot a celebrity on holiday! 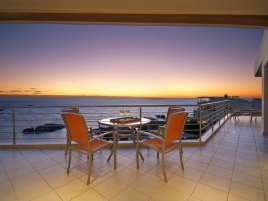 Spend your next holiday in one of our penthouse apartment rentals. Browse through our catalogue or get in touch with one of our friendly reservation staff to make your booking!